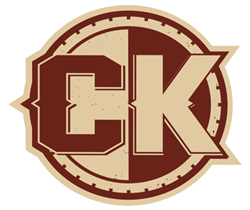 The Chris Kyle Frog Foundation, dedicated to serving military and first responders through meaningful interactive experiences that enrich family relationships, will be celebrating the life of Navy Seal Chris Kyle at Dallas’ famed Gilley’s on April 9, 2016. The event, which takes place the day after Chris Kyle’s birthday, is the launch of the foundation’s “Date Night Out” programming for military and first responder couples and will be supported by Warner Bros. Home Entertainment (Warner Bros.). The evening, a gift from the foundation to families who serve, will include special salutes from Chris Kyle Frog Foundation Executive Director Taya Kyle and entertainment by veteran, country music star and TV personality Craig Morgan. In addition, the foundation will present its 2016 Chris Kyle Birthday Grants to organizations that have a deep commitment to serving the children of military and first responder families. The 2016 Chris Kyle Birthday Grants recipients include Camp Southern Ground ($100,000), Camp COPE ($25,000) and the Erik Hite Foundation ($25,000). These grants further the foundation’s mission of enriching family relationships by focusing on children. This is a natural complement to Chris Kyle Frog Foundation’s programming that focuses on military and first responder marriages. Warner Bros. recently has announced its support of the foundation through a donation of up to $150,000 of the proceeds (across physical sales) of the upcoming release of “American Sniper: The Chris Kyle Commemorative Edition", available May 3 on DVD and Blu-ray Disc. “Warner Bros. is honored to help celebrate the life of Chris Kyle and support those who serve through the important work of the Chris Kyle Frog Foundation,” said George Parker, executive director film marketing, Warner Bros. Home Entertainment. The Chris Kyle Frog Foundation, http://www.chriskylefrogfoundation.org, is a 501c3 non-profit organization dedicated to serving military and first responders through meaningful interactive experiences that enrich family relationships. Founded and led by Taya Kyle, Chris’s wife, the foundation is entrusted to shepherd a community where the successes and struggles of these families can be shared. Its programs and partners reflect the service excellence that these individuals and families provide in service to their communities and country.